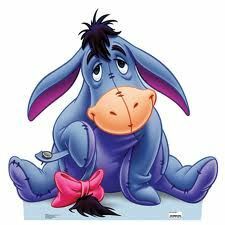 Below are more quotes by Eeyore. End of the road. Nothing to do, and no hope of things getting better. Oh, Eeyore, you are wet! When someone says How-do-you-do, just say you didn't. After all, one cant complain. I have my friends. Somebody spoke to me only yesterday. And was it last week or the week before that Rabbit bumped into me and said Bother!